As always, Yukkuri is swamped by real life… I couldn’t get any break in my work schedule until October… But I prioritize Genjitsu translations, since I feel bad for Larvyde. Looking down from the ramparts of Van, I could see the formation of fifty thousand soldiers from the Elfrieden Army around Amidonia, and on the opposite side, I could see the formation of about fifty thousand soldiers from the Grand Chaos Empire Army. By the Empire’s side was the five thousand men strong Amidonian Army, so the total was close to about sixty thousand men. The number of soldiers was more numerous than the previous battle and were all gathered right beneath my eyes. The melody is 『close and open』. My granny once said, 「『close and open』was originally a foreign folk song. When it first arrived in Japan the lyric is 『If you look around, the green willow mixed together with the sakura flower』」. The song I sang just now was a modified version of the 『If you look around』 song. Liscia, who stood beside me, replied in astonishment. Hakuya who also stood beside me nodded at my question. Battles are driven by 『Heaven, Earth, Man』, that is 『Heavenly opportunities (timing of attack), Earthly advantage (geographical advantage), and the Harmony of Man』. The Empire, leader of the anti-Demon Lord Army, has the timing of attack and the Amidonian Army has the geographical advantage. However, if I was asked if the Kingdom has the People’s Harmony to oppose the Empire, then I can only answer: no. I could only dispatch the soldiers from the Army and the Air Force, so that they could be exempted from their treasonous rebellion. It was not that bad when the enemy was just Amidonia by itself, but when the enemy is the superior in all fields, aka the Imperial Army, then of course we couldn’t expect any fighting spirit from our men. Even when looking from this place, I could see the Rhinosaurus corps that are attached with the Field Cannons. I had heard that Rhinosauruses were used in castle sieges, but it seems that the Empire has used them even further as mobile artillery. Actually, I also had this kind of idea, but for a Rhinosaurus to be able to be equipped with cannons, it was necessary to “train” them, so they wouldn’t be spooked by the sound of gunpowder explosions. Since the Rhinosauruses on our side were gathered by Tomoe-chan’s “please”, I had shelved the prospect of “training” them. It was vexing to see that the Empire had already implemented the corps that I had in mind. But well, if any military layman thought about it for a bit, then they would hit upon the same idea, too. As long as there is a demand, then most of these ideas will be implemented. Of course there doesn’t need to be a battle, just making a stance that it could be used in battle could become a negotiation card. On the contrary, it could be said that the Army spread before my eyes is the card prepared by the Empire. Even though I knew about this, this situation is quite a conundrum. At a place not far from me, Aisha, who was looking at the enemy army, spoke out. Hakuya appended his words on Aisha’s. it is a new phrase for me. Oh, really…… Certainly pike infantry is a type of soldier carrying long spears for anti-cavalry combat. Although, I only know about this from games, they would make a dense phalanx formation to oppose the charging cavalry. So they are a corps that sticks out their spear to counter an attack. Certainly, I believe that depending on the situation, they could be a powerful corps…… But is it to the extent where they could be called a treasured army? I asked Hakuya about this. In other words, since they couldn’t even use it as hunting weapons, there were no reasons to develop guns. But then, they should have developed rifling or armor-piercing bullet, right? Even a musket that could only fire a literally round pellet should have been widespread (the Japanese domestic harquebus is an early form of musket). If at one point, we could produce such a rifle, then it should have increased the country’s power. But even if I knew about the musket’s history, as expected, I didn’t know about its construction. Hakuya continued his explanation. If they are fighting on the flat plains, they will be invincible. So perhaps battling them on a hilly region or wetlands that have bad footholds, luring them towards the traps, or surrounding them and creating chaos in their formation…… was something that I had thought, but these plans were only applicable in a defensive battle. It will be hard for the invader to battle on the place that they choose. So the phrase 『Territory as far as the Magic Armored Corps have marched』 was really suitable. Liscia told me as she looked at the enemy lines. Ah…… She’s right. The enemy’s army didn’t only have the Magic Armored Corps. So my thinking about battling them in a place that I chose was foolish. Because Liscia and Aisha made worried faces, I smiled a bit. When I made this order, the other three answered vigorously. In an audience room that had both paint and decor more glamorous than the one in Parnam Castle, I sat on the throne. Standing on the carpet several steps below me were the younger sister of the Grand Chaos Empire’s Empress, Jeanne Euphoria, and the eldest son of the late Amidonian Duke Gaius VIII, Julius. Julius, who I met now for the first time, was a handsome man in his twenties and had a cold feeling similar to Hakuya’s, but his eyes, that seemed to see others as beneath him, gave me an unpleasant feeling. He is an ikemen who I couldn’t be liked, or for short, an “eerikemen” type of feeling. Our lineup for facing them had as only Liscia and Hakuya at both of my sides, and Aisha, who served as the bodyguard, behind me. Seeing this, Jeanne tilted her head. Said Jeanne in admiration, but inside my mind, I stuck out my tongue. I simply believe that if a ruler in the Romance of the Three Kingdoms had done what Jeanne had pointed out, then there will be a shameful scene where the envoy says, 『You only have an audience of two people, but is it he Kingdom’s etiquette to be surrounded by soldiers?』 or 『Do you not feel secure if there are no soldiers protecting you?』…… So I did this to shut her up. Jeanne’s sharp eyes looked at Aisha. Did military people give off an aura or something? She could accurately see through Aisha’s capabilities. Aisha made a bow while staying in silent. What a compliment. I couldn’t see how much truth was in it. She shouldn’t be someone who would back down just by seeing Aisha’s vigilant appearance, right? Jeanne, who said this while smiling, was quite an actress. She didn’t “bring any companions”, but wouldn’t the Imperial spy corps who had already infiltrated this castle were protecting her? Perhaps right now, they were rattling blades with Juna-san’s Marine Corps who were guarding this conference. Next, I shifted my attention to Julius. Julius called himself as the Duke while not concealing the hostility in his eyes. He couldn’t perform the coronation ceremony since we had occupied Van, so he shouldn’t be able to introduce himself as th Duke, but I couldn’t point this out since I was also in the same situation as him. Jeanne made a sour face as if she had swollen a bug, but Julius ignored her and kept on talking. 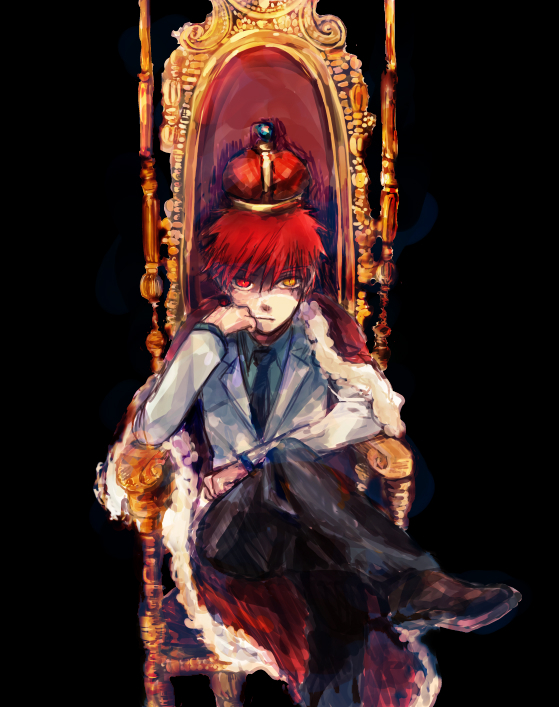 I rest my hand on the throne and placed my chin on it before continuing. Julius was completely vexed in his heart, but since this was something that his last ray of hope, Jeanne, had said, then although he hated it… no, real~ly hated it, he lowered his head. Seeing I had brought her into this matter, Jeanne shrugged her shoulders. Well, I had guessed that the Empire would take such a position. I was getting irritated at Julius, who stood beside her while making a face as if saying: this is justified. But this progressed just like assumed. Therefore, I answered just like in the assumptions. Liscia, Aisha, Juna: We refuse! It’s based on the older version of the children むすんでひらいて (close and open [palms]) tune (https://www.youtube.com/watch?v=oypsXiOM3S0) which came from Le devin du village, a French opera by Jean-Jacque Rousseau (also known as Rousseau’s Dream) . The tune is then used by a 1773 rendition of the “Lord, dismiss us with Thy blessing” Hymn (the Greenville hymn version http://www.hymnary.org/media/fetch/184008), which was then used by the US 19th century Folk Song : Go tell Aunt Rhody (https://www.youtube.com/watch?v=v4vxDJKjoBI | you know, the one used by Resident Evil 7). Which was then borrowed by the Japanese Ministry of Education as a Hymn for the Book of Hymns for the Elementary School Children in 1881 as 見渡せば (When I take a look around) (https://www.youtube.com/watch?v=uKw6-6dZh0A), and as the Militarism took over the nation in 1895, the song lyric was changed into 戦闘歌 (the War song) (https://www.youtube.com/watch?v=YmOxqtGZMP8): This is the version that was sung by Souma. After WW2 was over, the song lyric was changed once more into the current form. The training here means: Breaking an animal in with force so they would obey. vicious cycle refer to complex chains of events which reinforce themselves through a feedback loop. In this case the existence of defence enchantments magic cause the development of offensive enchantments magic, which triggered the development of even better defence enchanments magic that trigger even better offensive enchantments magic , which trigger an even greater better defence enchantments magic, which repeating ad infinitum. That’s why the Magic Armored Corps weary a very bulky full plated armor and carry a pike: a long and heavy weapon. Greater mass = greater protection and offence. Eh? Wouldn’t a cannon roundshot is an excellent anti-infantry weapon??? Remember that even now, Souma hadn’t formally been crowned yet. The right to succeed the throne is actually are in Liscia, so unless Souma marry her, he would only, in his own words, an Acting King (Acting in the meaning of “temporarily doing the duties of another person”) not a proper King. Should ended like that indeed. So the author is also fans of the economy demon queen? Who isn't a fan of useless meat? In the first place, even if her meat is useless, Demon Queen's wit and wisdom are what truly charms us. Er... yeah... wit and widthdom... er wisdom. does anyone have illustrations for volume 1? Thanks for the cliffhanger... May I, an humble leecher, ask your majesty when will the next chapter be released. There's nothing saying that territory has to be kept in the ownership of the government that was originally part of the declaration. Anyone think Souma'll instate a new government just because "nobody said I can't". Oh boy, such a good arc~ Thx for the dru... i mean chapter!!! I'm just sad that Carla and all the other people who went rebelled got executed. No one's been executed yet. They need a trial first, but it can take a long time for one to start, especially since the country is currently in a state of war. Not to mention, not much time has passed since they were arrested. I think the trial won't start until next arc, since we can expect Souma to want to save as many of them as he can. So he'll probably spend a lot of effort looking for loopholes in the laws and traditions of the kingdom that would allow him to pardon them, or have them ruled innocent. Or at least reduce their sentences as much as possible. I assume that them not being human could factor into the laws. As in, the beginning laws might only suggest that humans have legal status, as such none-humans are persona non-grata and are then under different laws which could probably just enslave them, which then he can release or something and change laws later. It's going to be fun reading how tired the MC is for finding loopholes, hopefully he doesn't get glazed eyes. uhm,what is that last girl in that one ? But small canister shot can't be charged with a lot of magic. That's why it's useless. Round shot on the other hand is a solid ball. Have to say it is possible but a lot less effective than a man in full armor with a lance if you need to take a single cannon shot to kill one or 2 men through their magic armor. One cannon to get one or 2 men killed per shot or a single knight to go around hacking and slashing, the knight is going to be a lot more effective militarily and logistically. You really want to screw magic knights with high physical defence up, use gas, provided they don't have air filters. I guess, the question is either about what Souma will get for leaving Van or what to pay for keeping it? Wow, there will be a lot cliff in this arc, given how great will it be. Usually i can predict how a story will progress around this time, but i this story is just so unpredictable. The solution that i can think of is what Thailand had done during the colonial era that saved them from the colonial powers. Create a buffer state. Van and sorrounding would be independent. 1. From their 'town reconstruction' conference, it seems that Soma plan to occupy Van indefinitely. 2. Soma already 'tame' the resident of Van. From these 2 points I anticipate that a referendum is the next valid move for Soma. I refuse to return Van, instead lets resident decide which country they want to belong to. The treaty prohibit border change due to military action but say nothing about 'political action'. I think this is loophole in the treaty. BTW, Siam (it was not called Thailand at that time) did not create buffer state. It just let go of vassal state to 2 colonial power. Its cliche yet a cliff. How weird. I wonder how they will solve this. Ahhhh Im so hyped for the next chapter! Just imagining Soma sotting like in that last picture and just straight up saying " I refuse" to a major power like a boss. Ah god so excited for the next chapter. I started reading this series and I am enjoying it. If you were going to combine "ikemen" and "unlikable", then why not "unlikemen"? Your Majesty, there is a majestical legion. Was it that? Was it that meme?! People simply don't just pressing their f5 button, they sleep with it, go to the bathroom with it, and they even have breakfast, lunch, and dinner with it. Wouldn't it be almost literally "shoot from a cannon on sparrows"?